Since 2008, expansion-minded chef Michael White has focused his restaurants in the upper echelons of soulful Italian cooking—see Marea, Ai Fiori and Ristorante Morini for proof. 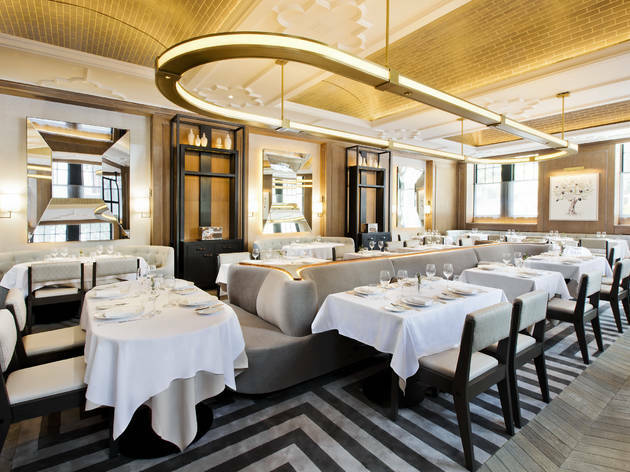 But the multi-Michelin-starred toque is going full-blown French with this 186-seat dining room, named after a landlocked region in southeastern France and decorated with illuminated banquettes, arched doorways and vaulted ceilings hung with chandeliers. 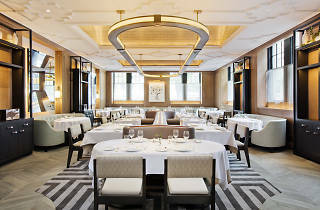 White and Marea chef Jared Gadbaw collaborated on the menu, divided into sections such as Le Potager (seasonal produce) and Les Grillades (meats and fish). 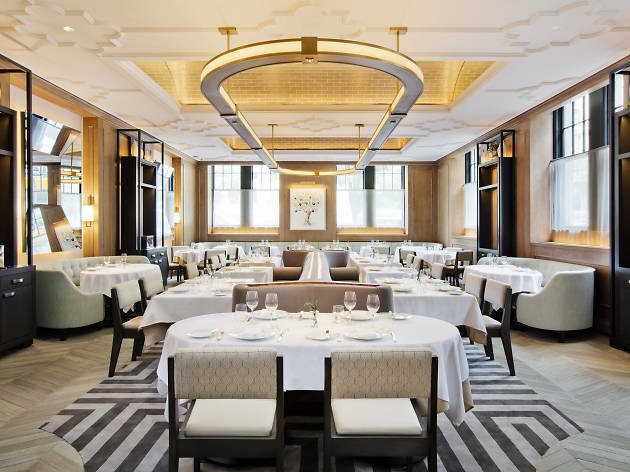 Featured brasserie classics include steamed seabass with manila clams and veal filet with seared foie gras. And as is the White way, there are house-made pastas: tricolor farfalle tossed with smoked salmon ribbons and ravioli stuffed with rabbit confit and reblochon. From his perch at a tile-clad bar, wine director Richard Anderson oversees a French-heavy selection of vin.